The Reina Silvia Galapagos cruise operates out of Baltra Island (technically Seymour Airport but more commonly referred to as Baltra Aiport - GPS). 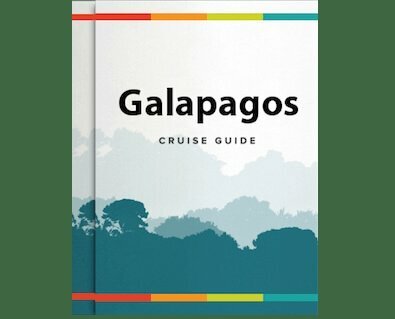 To get to the Galapagos Islands, you will need to take a flight from Quito (Mariscal Sucre International Airport - UIO) or Guayaquil (Jose Joaquin del Olmedo International Airport - GYE) on mainland Ecuador. You cannot fly direct to the Galapagos Islands from North America. Once you've reached mainland Ecuador, there are three main airlines that fly to the Galapagos Islands, TAME, Avianca and LAN. From Quito, most flights to Baltra are via Guayaquil (approximately 3.5 hrs), but LAN and Avianca do offer some direct flights (approximately 2 hrs) to Baltra. From Guayaquil, all flights to Baltra Airport are direct (approximately 2 hrs). It's important to note that virtually all Galapagos Cruise Operators require you to book flights with them at the same time as your cruise. This is because they pre-reserve seats on recommended flights that best tie in with their cruise itineraries, ensuring the easy coordination of transfers on the islands for all their passengers in one go. Below you will find details of those recommended flights for the Reina Silvia Galapagos cruise. Please check with your Travel Specialist for recommended flight information. Below are the prices for the recommended flights for the Reina Silvia Galapagos cruise. Transfers to/from the airport to the Reina Silvia Galapagos cruise are included when booking recommended flights.